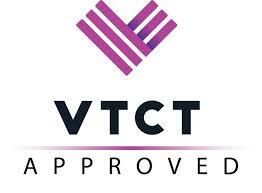 Accredited Hair Extension Courses Delivered by LONGER LENGTHS. HAIR EXTENSION METHODS AVAILABLE - Micro Rings, Nano Rings, Fusion / Prebonded, Skin Tape, Sew In Weave, Micro Ring Weft, LA Weave. Here at Total Academy we aim to provide you with outstanding recognized training courses that are tailored to you and your learning capabilities. Total was founded in 2014 by our enthusiastic team and we have educated people from all over the world. We are a beauty guild accredited course provider and offer exclusive accredited short course programmes in hair, beauty and complementary therapies. Currently based in a prime location in the North East of England we possess a state of the art beauty environment which simulates a workplace and enables you to perform training treatments in a realistic business atmosphere. Total Academy offers hair and beauty short training courses to anybody who has the determination to embark on a new career, or for people who simply have a passion for learning and would like to learn for pleasure or extend the skills and qualifications they may already possess. Our exclusive courses are delivered by our highly trained professional educators, educators who will not be content until they know that they have trained you to the peak of your ability. 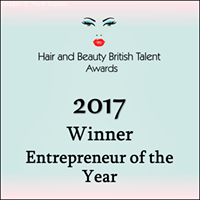 The tutoring team at Total have a wealth of industry experience in hair and beauty but have also undertaken extended training themselves in order to become the first-rate tutors that they are. This is all done because they have the vision to educate their students to the highest possible standard this is a standard they believe, as tutors should also be personally adhered to. If you are looking to start a new career or you wish to become outstanding in your industry then be sure to train and learn with the best. Get in touch to find out what we can do to help you become the best!